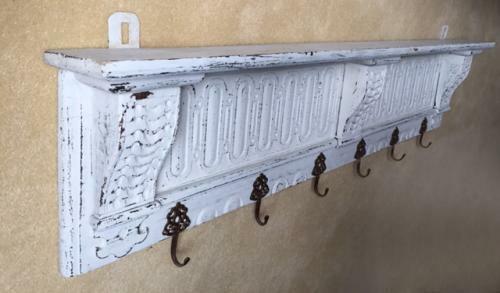 Quality Antique French Carved Coat Shelf painted in an Ivory chalk paint. Good detail and decoration. Ideal for hats and coats or for cups etc in a kitchen or bathroom.